Now over 220 years old, the U.S. Constitution of 1787 is still the highest law in the land, and has outlived the constitutions of all other countries. Its longevity rests in the enduring principles upon which it was founded. The American Founding Fathers understood that biblical law provides for the most suitable form of civil government any country can muster. 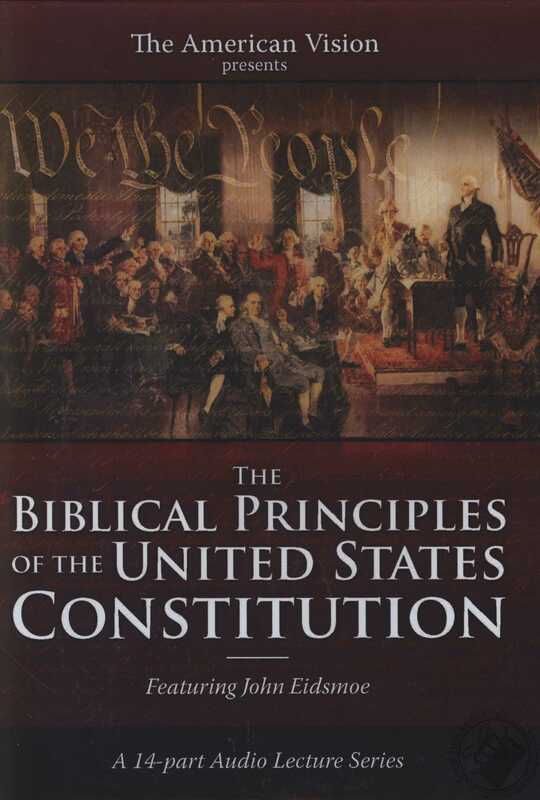 The Founders forged into the America's legal documents and civil institutions biblical principles that have stood the test of timeeven to this day. 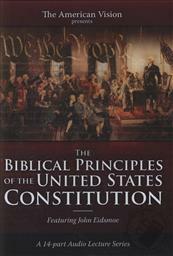 But what biblical principles did the Founders use? And do the biblical foundations that carried this nation for so long stand a chance against the present surge of ungodly political activism? John Eidsmoe, a constitutional lawyer and career defender of America's biblical foundation, answers the hard-hitting issues in today's liberal legal world in this new audio series from American Vision. Learn what the Founding Fathers understood about government, and confront man's clear and present need for biblical restraints head on in these lectures from one of the best constitutional scholars in the nation. Civil Rights: "The Good, Bad, and Potential"
This is a 7 audio CD set. John Eidsmoe is a retired Air Force Lt. Colonel, Alabama State Defense Force Colonel, and graduate of both the Air Command & Staff College and Air War College. 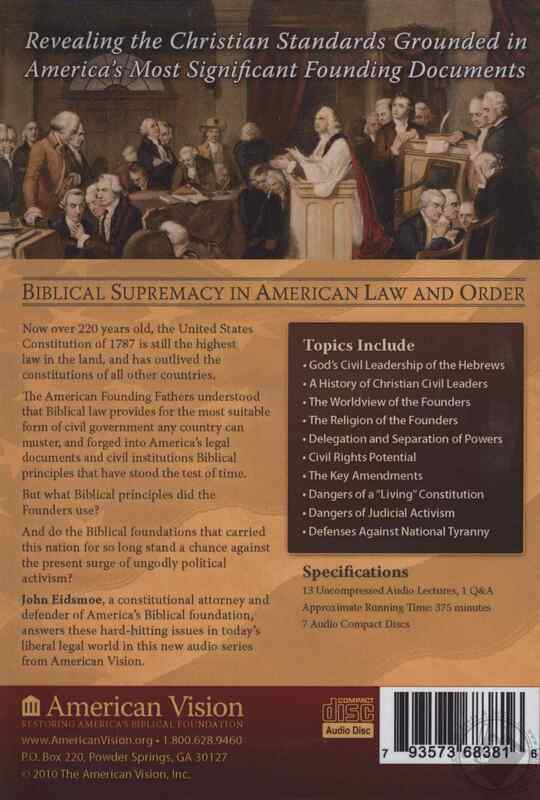 A constitutional attorney, he has defended both homeschools and Christian schools in court, as well as the right of students to study the Bible in public schools and the right to display the Ten Commandments in the public arena. He is currently a Professor of Law at the Oak Brook College of Law and Government Policy, and has earned five Outstanding Professor awards during his residency. He has served as Senior Staff Attorney for the Alabama Supreme Court and now serves as Legal Counsel for the Foundation for Moral Law. An ordained pastor, author, and director on numerous boards, John holds six academic degrees in law, theology, and political science. He and his wife Marlene have been married 40 years. They reside in Alabama and have three children.